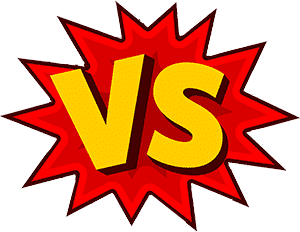 Royal Purple vs Mobil 1: Which is better? It matters a great deal which motor oil you choose for your car. Among the leading brands of motor oil are Royal Purple and Mobil 1. Both are offered to a range of vehicles, however, many consumers have difficulty choosing between Royal Purple’s High Performance Synthetic Motor Oil and Mobil 1’s Annual Protection Ultimate Full Synthetic motor oil. Choosing the right oil could really extend your car’s life. Both are great synthetic motor oils. And both are backed by big, trusted brand names. Which is why it is that much more difficult to decide between the two. That’s why I’ve done the research, analyzed the feedback, and tested both products so that you can choose the best synthetic motor oil for your vehicle. Don’t bother anymore with conventional oils. Changing your vehicle’s oil 3 times a year can get old and tiring. And, of course, it can be costly. With the right synthetic oil running in your engine, you can make sure you only have to change your oil once a year, twice at most! If you’re looking for quality oil for your engine, look no further. Royal Purple’s high performance synthetic motor oil is just what your vehicle needs. Keeping to its namesake, the successful brand’s unique, purple-colored motor oil is an engine’s go-to drink. Royal Purple is top notch and quality motor oil suitable for any average vehicle. After the oil went in, I could almost immediately feel the difference in my 2014 Chevy Silverado. Funnily enough, I bought Royal Purple’s synthetic motor oil with my expectations set pretty low. I figured most synthetic motor oils in this day and age should probably have high ceilings and high floors, figuratively speaking. I was wrong. Royal Purple’s quality motor oil quickly took its effect on my truck. There was a noticeable difference in my ride. I often even felt its royal presence right at ignition. Being about five years old now, I figured my Silverado would always have her spouts with the cold (temperature). After tacking on those years, she would sputter and spout out all sorts of battle cries during the winter season. However, with Royal Purple in my Silverado’s engine this winter season, I definitely could hear the difference. The truck made a lot less noise, and was much less fussy even in the coldest temperatures. This motor oil was already off to a great start. Another great response I noticed from my Chevy Silverado was that she actually felt more responsive. She revved and drove like she shaved a few years off of her lifespan! The substantially sized truck no longer started to feel heavy and sluggish. The acceleration even felt lifted. Royal Purple’s high performance motor oil really made the Silverado feel like new again. After having my Silverado run on it for a substantial amount of time, I can even notice some added MPG (miles per gallon). Even with the low expectations I had, I knew of Royal Purple’s reputation, but I definitely did not think I would see an increase in my truck’s mileage per gallon. It fluctuated between a 2-4 mpg increase, but still. I did not expect that. That’s because Royal Purple specializes in lubricant motor oils. 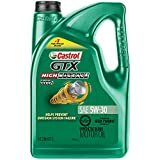 Unlike the average brand, they are specifically looking into engineering synthetic motor oil that helps your engines bits run smoothly and last long. Royal Purple’s high performance synthetic motor oil is also really great because, unlike other motor oil brands, you basically only need to replace your oil once, maybe twice a year. My Silverado has about 90,000 miles on it, and I’m finding myself driving up to 10,000 miles before needing to replace Royal Purple’s synthetic motor oil. I would imagine it could push for even more miles in between oil changes with a sedan or coupe. The difference is quite substantial in comparison to average motor oils. I’m loving the fact that I don’t need to take my truck in 3-5 times a year anymore. Royal Purple high performance motor oil really is worth it. Mobil 1 is a staple motor oil company. When you’re looking for quality and a brand that customers have trusted in time in and time out, that’s Mobil 1. Mobil 1’s annual protection ultimate full synthetic motor oil is what your vehicle needs, without all of the fancy bells and whistles. First, it is good to note that you’ll probably need to purchase Mobil 1’s Extended Performance Filter too, along with the synthetic motor oil. I got Mobil 1’s recommended filter to use on my truck’s oil change, and it was no sweat. Right from the get go, I could tell that this synthetic motor oil meant business. It looked like standard motor oil, smelled like motor oil, and worked like motor oil. There is no funny business, and that’s why it has become such a staple product in every garage around the country. 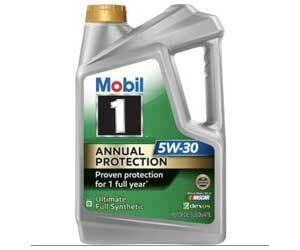 Mobil 1’s Annual Protection Synthetic Motor Oil, advertises one oil change per year if you go with their product. After having replaced my Silverado’s motor oil with Mobil 1, I did not notice any specific difference. My truck felt good and reinvigorated, but there was not any noticeable difference in the ride. The MPG I was receiving on my previous oil change stayed relatively the same after I replaced it with Mobil 1. I would say, I got about 17,000 miles on the Chevy Silverado before I found myself needing another oil change. This stuff works. It runs long and strong to help your vehicle function strong and last long. The oil went in smooth, and my truck drank it up like it was healthy green juice. That’s when I found out that Mobil 1 motor oil has more detergents than most companies to also help clean my engine. I had no complaints. I was very happy with the fact that with Mobil 1’s synthetic motor oil, I would not have to visit a garage shop every 3,000 miles anymore for that monthly oil change. My Silverado was now getting 5 times the miles between changes, and I enjoyed that part very much. One thing to note is that Mobil 1 works much better when your vehicle drives mostly on highways. It’s not specified for city driving. In conclusion, I find both brands’ synthetic motor oils to be of great quality. Both work great and do what is advertised of them. Mainly, they both have the capacity to allow vehicles to only change their oils once a year. Both can get roughly 12,000 – 17,000 miles between oil changes no problem. The difference was in the details. There can only be one winner. And, although, Mobil 1 has its great qualities, the title must go to Royal Purple. Royal Purple’s high performance synthetic motor oil just does more than what Mobil 1’s motor oil offers. I found that Royal Purple increased my MPG, smoothened my ride, and I noticed the difference almost immediately. Mobil 1, on the other hand, did its job well, but offered no other amenities. Although, Mobil 1 is top notch, it is simply good motor oil and not much else. It does not offer what Royal Purple does with the extra positives. Also, Mobil 1 basically requires you to get their Extended Perfomance filter. This can definitely be an annoyance to many customers. Is Royal Purple really purple? Is Mobil 1 fully synthetic oil? When should I change my Mobil 1 synthetic oil? Is synthetic oil really better? 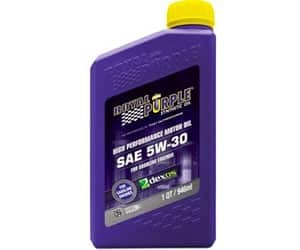 Royal Purple is an American manufacturer that engineers lubricants for automotive, industrial, marine, and racing usage. Its Royal Purple Motor Oil line of products, used mainly in gasoline and diesel engines is what it’s best known for. The company was founded in 1986 by John Williams, a synthetic oil developer. According to my research and studies, Royal Purple synthetic motor oil does indeed provide a subtle, but noticeable difference in your vehicle. I found that my truck was getting a couple thousand more miles per oil change on the year. And I also noticed that my Silverado improved in MPG. My MPG was up by a couple of miles too! The best part was that my ride was noticeable smoother and more responsive. I felt my Silverado’s acceleration had improved. My 5-year-old truck actually felt younger. Well it really depends on how you use your car, and how often you drive. Plus, city or highway miles have to also be put into consideration. Royal Purple probably gives an average of 9,000 – 20,000 miles per oil change. That equates to once or twice a year, which is very good. Yes, Royal Purple’s synthetic motor oil actually comes in purple. The motor oil goes into your vehicle in a purple shade, but turns amber once it is utilized in your engine. The answer actually lays directly on the box. Mobil 1 Annual Protection Ultimate Full Synthetic motor oil is fully synthetic. Brands do occasionally offer synthetic blend motor oils, but full synthetic is what you want. Full synthetic motor oils are best on your average vehicles. Mobil 1 Annual Protection Ultimate Full Synthetic motor oil can go from 9,000 miles to all the way up to 20,000 miles on an oil change. It really depends how you’re driving, where you’re driving, etc. It is also good to note that this specific Mobil 1 synthetic motor oil is engineered mainly for vehicles that use the highway frequently. Synthetic oils are definitely better than conventional mineral oils. Synthetic oils are better for your engine and it has less impurities. It actually helps your engine resist breakdown, and thus lasts longer than regular oil. Synthetic oils are also engineered to be able to withstand high temperatures and very cold temperatures. This ability allows vehicles that run on synthetic oil to far much better in cold weather. Its effect is especially noticeable on your engine’s start-up in frigid temperatures. You won’t have to deal with anymore loud spouts and sputters from your vehicle’s fight with the cold.